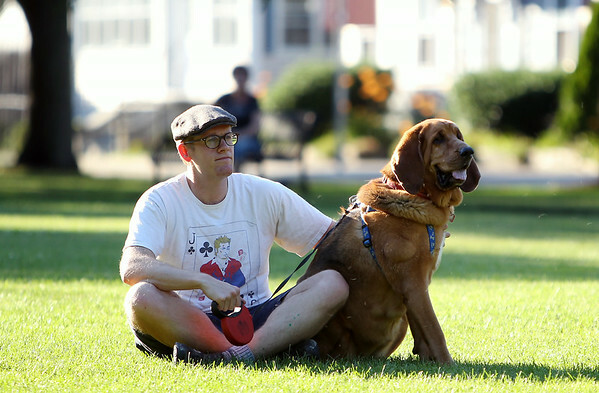 Bennett Ahearn, of Beverly, sits with his dog Rosie on the lawn of Beverly Common, listening to the tunes of Quintessential Brass on Thursday evening. DAVID LE/Staff photo. 7/10/14.